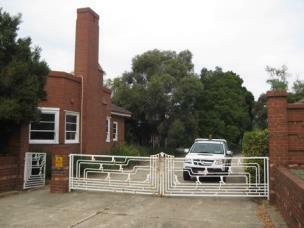 The Former Royal Australian Corps of Signals Drill Hall, including the Administration Building fronting Albert Road Drive South, the Drill Hall, two residences either side of the Administration Building, the workshop and garage building along the west of the site, and original gates, fencing and landscaping. The site of the Drill Hall was used for military purposes from around 1885, and originally contained two Orderly Rooms, which were damaged by fire in 1933 and demolished. From 1935 to 1939 there was a dramatic increase in defence spending in response to the perceived threat of another war. As the Defence Act did not allow for the existence of a regular army, all the major expenditure on accommodation in Victoria was on the construction of a series of new, imposing, red brick drill halls to train the citizen army. The existing Drill Hall complex was constructed between 1935 and 1936 and opened in 1936, for the Australian Corps of Signals. The complex was designed by Commonwealth Architect George H. Hallandal, overseen by Chief Architect Horace J. Mackennal and constructed by J. C. Corbett. 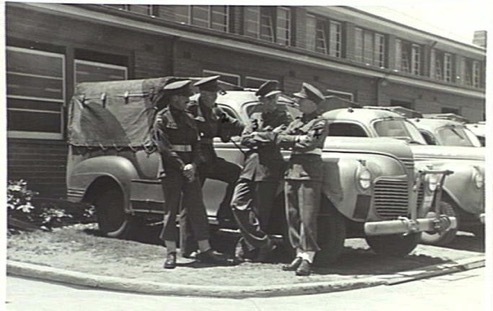 The Drill Hall complex was occupied by various units of the Royal Australian Corps of Signals until 1975. After this date, the buildings continued to be occupied by various units of the Army until the mid-1990s. 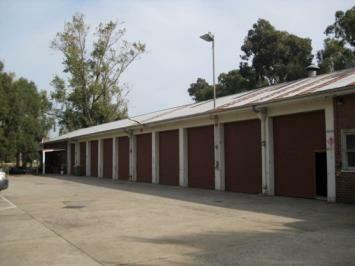 The Drill Hall complex has been extended twice with the addition in 1960 of classrooms (since removed) to the garage buildings and minor internal alterations in 1992-93 to the Drill Hall for the Australian Army Band. A plaque on the Administration Building was presented in August 1995 by the Royal Australian Signals Association (Victoria). It states that Australian Corps of Signals emblems of the interwar era remain in the building, to honour the many Signal units of the Militia, 2nd AIF (Australian Imperial Force), ARA (Australian Regular Army), CMF (Citizens Military Forces) and Army Reserve which used the site continuously until 1975. 'The badges [emblems] also commemorate the thousands of signal men and woman who served here, some of whom did not return from active service.' The complex comprises the only remaining military buildings dating from the Army occupation of Albert Park during World War II. 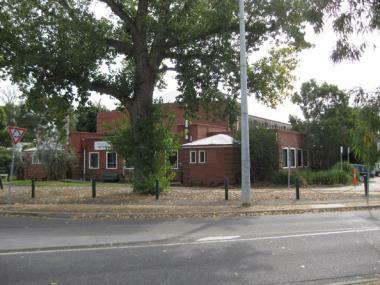 The Former Royal Australian Corps of Signals Drill Hall is made up of five discrete buildings - the Administration Building and two flanking residences fronting Albert Road Drive South, the Drill Hall to the rear (south) of the Administration Building, and the workshop/garages along the western boundary. 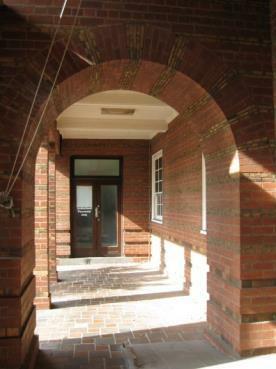 The Administration Building and residences have been constructed in polychromatic brick in the Stripped Classical style. The Drill Hall has also been constructed in the Stripped Classical style but utilises plain red brick. 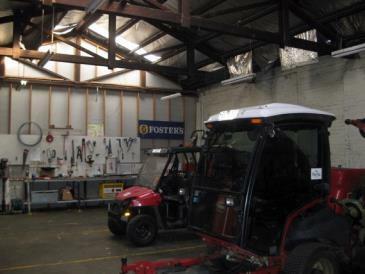 The workshop/garages is a long, unadorned utilitarian structure. 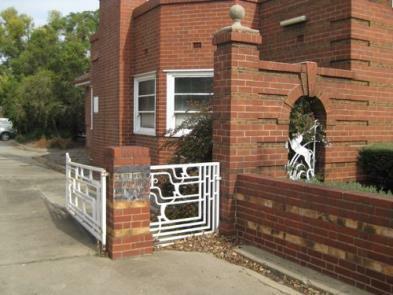 The frontage to Albert Road Drive South is highly symmetrical with the Administration Building and two residences linked by formal gardens, low walls and decorative steel fences. With the exception of the workshop/garages, all buildings feature Art Deco detailing in their highly intact interior spaces. 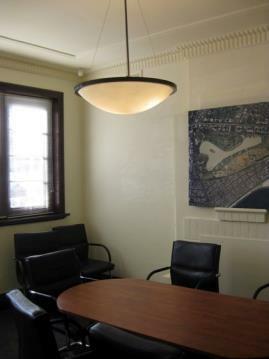 The Administration Building and Drill Hall also retain built-in furniture and several Royal Australian Signals Corps emblems (depicting the winged Roman messenger god, Mercury) in relief. 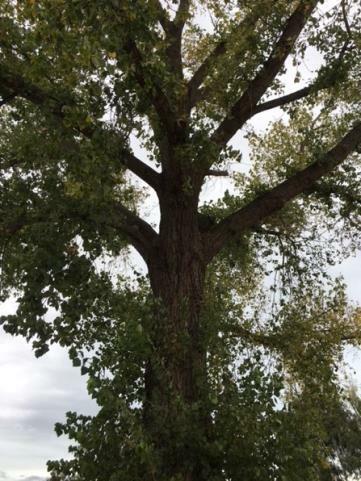 A mature memorial tree (Populus x canadensis 'Aurea') is located to the rear (south) of the Drill Hall. The Former Royal Australian Corps of Signals Drill Hall is significant for its association with Commonwealth Architect George H. Hallandal, who designed the complex in the Stripped Classical style. 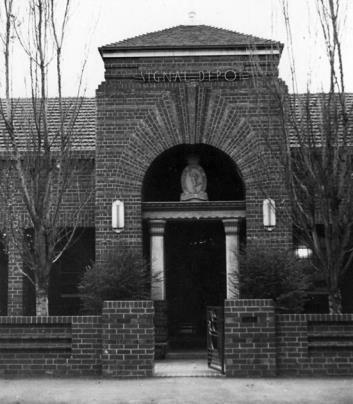 Under employment of the Commonwealth Department of Works, Hallandal designed the majority of the new red brick drill halls in Victoria between 1935 and 1939. The Former Royal Australian Corps of Signals Drill Hall is significant for comprising the only remaining military buildings dating from the Army occupation of Albert Park during World War II. All of the place shown hatched on Diagram 2362 encompassing all of Crown Allotment 2027, City of South Melbourne, Parish of Melbourne South. The Royal Australian Corps of Signals is one of the senior corps or 'combat support arms' of the Australian Army and is a vital component of its overall function and operation - often referred to as its 'nerve system' - providing communication channels from the largest headquarters to the smallest units. The Signals Corps is responsible for installing, maintaining and operating all types of telecommunications equipment and information systems. The Australian Corps of Signallers was formed in 1906, after the inception of the Commonwealth Forces. Prior to this, signallers were grouped on a regimental basis and Telegraph Companies existed as part of the Engineers Corps (Vazenry c1969:8.1-2). The Corps of Signallers originally consisted of nine companies, two of which were located in Melbourne: Signals 3 Aust Infantry Division and Signals 4 Aust Infantry Division. The Corps remained a self contained unit, except for a period between 1911 (with the introduction of Universal Training) and 1921, when the unit again formed part of the Engineers Corps (Vazenry c1969:8.1-2). The peace time period between 1925 and 1939 saw the development of signalling equipment, particularly wireless equipment. During this period, the strength of the Signals Units was increased and training and organisation implemented. 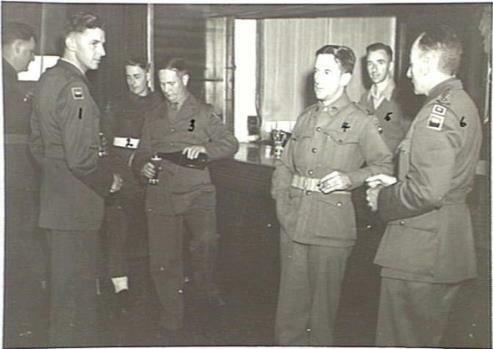 When war was declared in 1939, the number of Australian Corps of Signals personnel expanded to meet the urgent operational requirements and personnel were trained. 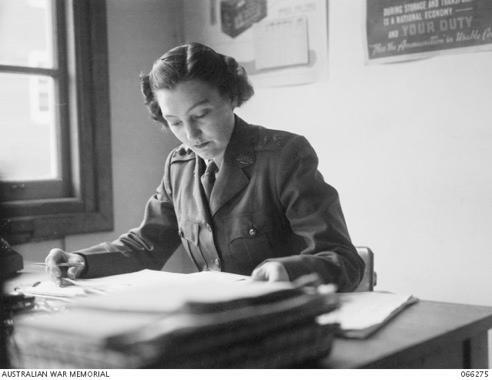 The Signals Corps soon totalled near 25,000 personnel in all ranks, including the Australian Women's Army Service. In 1948, the Signals Corps was granted the prefix 'Royal', becoming the Royal Australia Corps of Signals. 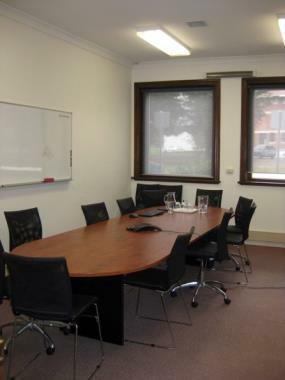 The term 'Drill Hall' is defined as a 'meeting place of units of citizen forces in Victoria' and these buildings were commonly known as Orderly Rooms (1854-1901), Drill Halls (1901-1950) or Training Depots (1950-present). Each Drill Hall was built specifically for the unit that was to occupy the building and functioned as an indoor parade ground and activity area, often with administration offices and stores for arms and ammunition to the perimeter. The permanent married quarters (PMQ's) and messes were often part of the site and design of the complexes (Miller 1994:18, as cited in Trethowan). In 1854, Melbourne became the new headquarters of the officer commanding Imperial troops in Australia and later that year the Victorian Volunteer Artillery Regiment was formed. By 1864 an Emerald Hill Company was in operation using the rifle range extending from Middle Park towards the beach. By 1884, the military forces were reorganised to become a Department for Defence (Ward 2013). In 1885, a proposal was made by the Defence Department to establish an Orderly Room in Albert Park and after much debate, the site of the existing Royal Australian Corps of Signals building was chosen (Hanssen 2014:11). 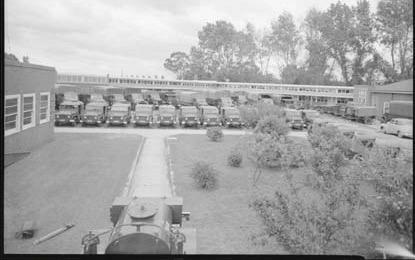 Prior to World War II, the Albert Park complex served as a training depot housing artillery and infantry units (Vazenry c1969:8.1-2). Maps dating to the late nineteenth and early twentieth century showed the location of the Orderly Room at the site of the existing 1935 Drill Hall. The 1894 and 1895 Melbourne and Metropolitan Board of Works (MMBW) detail plans indicate that two buildings, a 'Gun room' and 'Orderly Room' occupied the site facing north-westerly. 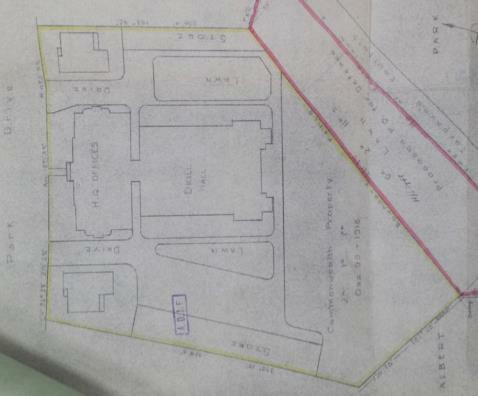 The lot matches the current cadastral boundaries, and was accessed off Park Drive (now Albert Drive Road S). In 1917, the property was transferred from the State to the Federal Government (Daley 1940:224). Between 1918 and 1935 there was a sharp decline in defence construction, but from 1935 to 1939 there was a dramatic increase in defence spending in response to the perceived threat of another war. However, as the Defence Act still did not allow for the existence of regular infantry, all the major expenditure on accommodation in Victoria was on the construction of a series of new, imposing, red brick drill halls (VWHI). On 5 January 1933, the timber drill hall at Albert Park was gutted by fire (Jess Report; Canberra Times 5 Jan 1933). An article in the Age in June 1935 reported that while the adjoining hall had been destroyed by the fire in 1933, the first fire-damaged drill hall remained on the site and was 'one of the oldest in Victoria'. At this date, contractors were 'examining the historic old drill hall' which had been 'standing in Albert Park since 1902, with a view to tendering for the erection of a new brick signal depot'. Building was to commence the following month. The Argus reported on 26 July 1935 that a new army signal depot was to be erected in Albert Park, alongside the South Melbourne Cricket Ground, as part of a plan to improve Australian defences. The depot was to be constructed by Essendon builder J. Corbett, for a total of 24,300 pounds. The complex was to comprise a 'new depot, adjoining drill hall for training purposes, residential quarters for the staff sergeant-major, and office buildings for the staff' as well as an officer's mess, a sergeant's mess and a miniature rifle range. The new depot was to be used for training purposes, and to 'form a club among the signallers', with the article inviting former Australian Imperial Force signallers to enlist when the new depot was ready. 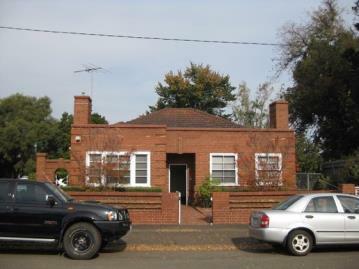 The existing Drill Hall complex was constructed between 1935 and 1936 and opened in 1936, to serve as a Victorian Signals Training Depot for the Australian Corps of Signals in response to the perceived threat of war. The complex was designed by Commonwealth Architect George H. Hallandal, overseen by Chief Architect Horace J. Mackennal, and constructed by J. C. Corbett (Ward 2013). 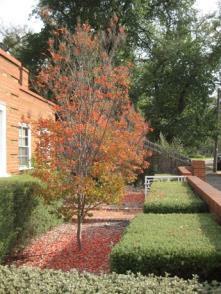 The Defence Department paid the park staff to lay out and maintain the garden on the site (Barnard & Keating 1996:110). 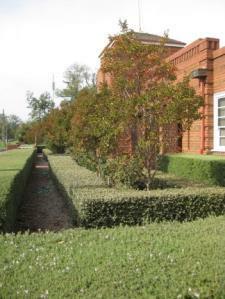 Hallandal designed a majority of the new red brick drill halls in Victoria between 1935 and 1939. 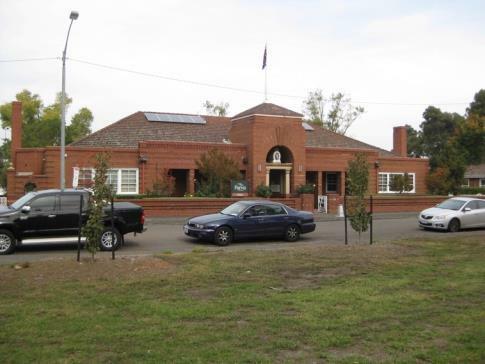 The Albert Park Drill Hall complex was one of the first such complexes constructed for the Department of Defence in Victoria during the interwar period. The Signals Corps occupied the complex and was joined by Area Signals in 1939. Newspaper articles during this period referred to the site as the Albert Park Signals Depot (Argus, 22 Jan 1938:2). 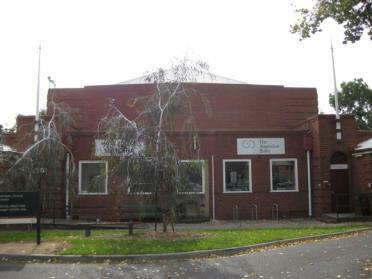 During World War II the Drill Hall Complex was the signals focal point with four supportingsatellite signals stations located throughout Melbourne. Military presence increased when the Defence Department took over a large portion of Albert Park during World War II (Barnard & Keating 1996:109). The Department began annexing adjacent land from 1941, taking over both cricket grounds, a bowling green and even the girls' high school (where three large cargo sheds were erected at the rear; which were adapted for sporting facilities after the war). In 1943, land in the park's south-western corner was annexed for a full-scale military barracks, comprising rows of prefabricated huts to serve as accommodation for Navy, Army and Air Force staff. Although intended to be a temporary presence, most buildings would remain in Albert Park for over thirty years, until demolished in the 1970s. Albert Park re-opened to the public after World War II and the sporting facilities of the park expanded (Heritage Alliance 2008). A 1941 drawing of the Drill Hall complex showed footprints of the Administration Building, Drill Hall with its offices and stores, and the two residences. The 1941 footprints match what currently exists, which indicates that the buildings that remain in 2016 are original in date (or built pre-1941). An early photo of the Drill Hall complex dating between c.1940 and c.1944 shows the facade of the brick Administration Building as it appears in 2016, but with the original colour scheme to the gates. The name 'SIGNAL DEPOT' in metal letters was attached above the arched entrance (since removed). A 1943 photo of a side elevation of the Drill Hall shows the side wings (offices and stores) with their original two-over-two timber sash windows (sashes since replaced). Above were the multi-paned windows to the clerestory of the Drill Hall. Additional historic photos dating to 1944, 1945 and 1964 show the original timber sash windows to the Drill Hall, as viewed from the interior and exterior. The Drill Hall complex was occupied by various units of the Royal Australian Corps of Signals until 1975 when the Corps ceased to occupy the building (Barnard & Keating 1996:110). After this date, the buildings were occupied in succession by 3OCTU, RCSC, the Melbourne Australian Army Band (in the 1990s) followed by the Royal Australian Air Force Band (VWHI). The Drill Hall complex has been extended twice with the addition of classrooms in 1960 to the garage buildings and small internal alterations made in 1992-93 to the Drill Hall for the Australian Army Band. 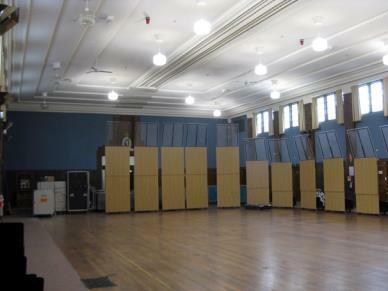 The alterations to the interior of the hall comprised the installation of acoustic panels for the Australian Army Band (which remain in 2016) and the removal of some walls in the office and store rooms to create larger spaces. New glazing has been installed in the square format windows around the perimeter of the Drill Hall (removing the original two-over-two sash windows with horizontal glazing bars). 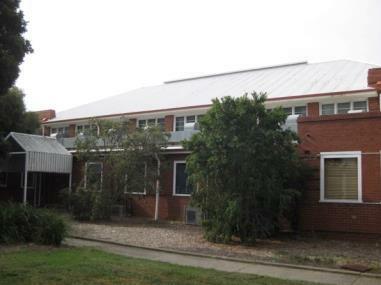 The roof of the Drill Hall was re-clad in Colorbond and air conditioning units were installed on the roof of the side wings to the Drill Hall. The Administration Building has new glass entrance doors to the interior and glass partitions to create office spaces for its current use. The Rifle Range was demolished in 1993 (VWHI). A plaque on the facade of the Administration Building was presented in August 1995 by the Royal Australian Signals Association (Victoria). 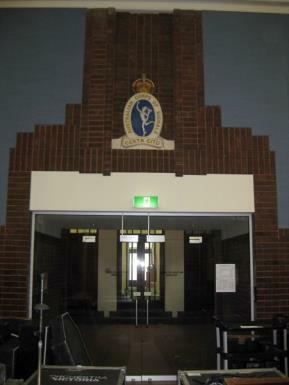 It states that Australian Corps of Signals emblems (depicting the winged Roman messenger god, Mercury) from the interwar era remain in the building to honour the many Signal units of the Militia, 2ns AIF, ARA, CMF and Army Reserve, which used the barracks continuously until 1975. 'The badges [emblems] also commemorate the thousands of signal men and woman who served here, some of whom did not return from active service.' These items of Royal Australian Signals memorabilia no longer exist elsewhere. 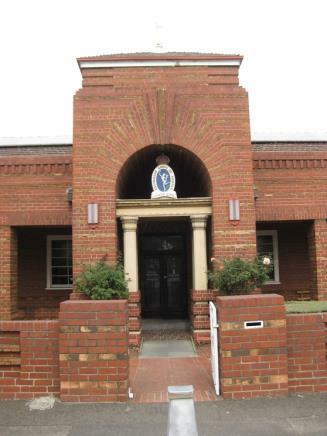 The memorabilia includes the 1930 Corps emblem above the front entry arch, the Officers Mess emblem above the fireplace, emblems in the Drill Hall cast into the brickwork at each end of the hall, a 1935 Time Capsule in the brickwork to the right of the front entry arch and a 1960 Time Capsule buried in the brickwork in an unknown location in the building. A cast bronze 'signal depot' emblem above the main entry arch was removed in 1993 and is housed in the Corps Museum (VWHI). 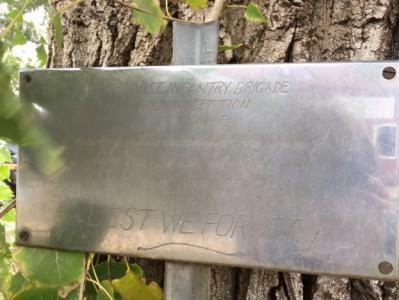 At the rear of the Drill Hall complex is the 15th INF Brigade Signals Section Memorial Tree and Plaque. The 15th Brigade was originally formed in World War I, and suffered extremely heavy losses in Bougainville during the battle at Slater's Knoll between April-May 1945. It has been reported that this brigade, part of the 3rd Division, sustained heavier losses than any other Australian brigade that took part in the campaign (Digger History). In 2016, the Drill Hall complex retains the Administration Building flanked by two permanent married quarters (fronting Albert Drive Road South), the Drill Hall and the workshops/garages, all of which remain from the original design and use. This complex comprises the only remaining military buildings dating from Army occupation of Albert Park. In 2016 the Drill Hall complex was occupied by Parks Victoria and Orchestra Victoria. George Henry Hallandal (1901-c1997) was apprenticed to Haddon & Henderson for four years following World War I, who specialised in completing design work for other architectural firms. 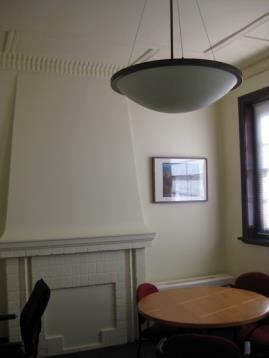 Hallandal won the RVIA Silver Medal in 1923 and joined the Commonwealth Department of Works (CDW) in Melbourne in 1923, before being posted to Canberra in 1926 as the resident architect for Parliament House (Goad 2012:311). 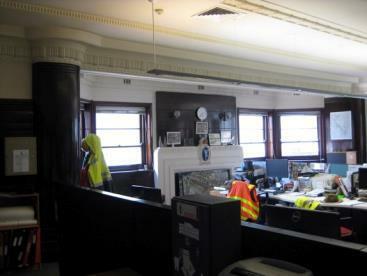 Between 1935 and 1939, Hallandal was the lead designer within the Victorian section of the Department of the Interior Works Branch. He worked under Chief Architect Horace Mackennal and was responsible for the design of many of the Drill Halls and defence buildings within Victoria, constructed during this period. These included the drill halls in Victoria Street, Melbourne (1937), Albert Park (1935-36), Geelong (1939) and Mildura (c1939). 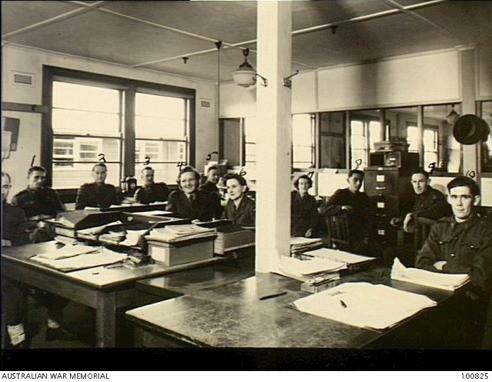 He also designed the Australian Army Medical Corps Training Depot at 235-9 A'Beckett Street, Melbourne (1938-9) which included two drill halls. They were all designed in 'variations of beautifully detailed brick and/or cement render in the classical Moderne style' (Goad 2012:311). 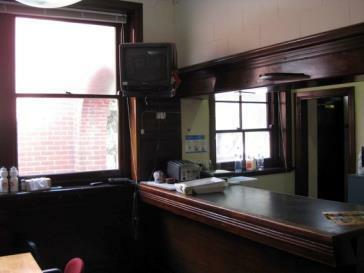 Hallandal was interviewed by Allom Lovell & Associates (1990:57) as part of the assessment of the Former Army Medical Corps Drill Hall, Melbourne. The report states that Hallandal claimed to be the sole designer of the Drill Halls as the Commonwealth Architect (from 1923). 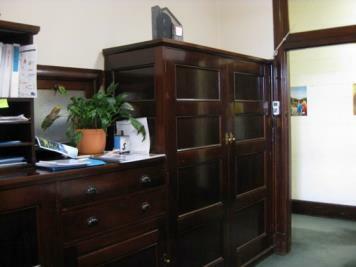 He said that the A'Beckett Street hall was his own style and that the Victoria Street Hall was quite different. Hallandal 'did not like the Moderne and streamlined style, preferring instead to put his own style into his buildings'. He stated that he was very influenced by two American architects - Paul Cret (1876-1945) and Bertram Goodhue (1867-1924). Hallandal stated that he liked to 'design a building completely, preferring to detail everything' (Lovell & Associates 1990). By 1949, Hallandal became principal architect within the CDW where he remained until his retirement in 1966 (Goad 2012:311). Allom Lovell & Associates (1990) 'Former Army Medical Corps Drill Hall, 249 A'Beckett Street, Melbourne, An assessment of the architectural and historical significance', prepared for Oak Pty Ltd. Australian Corps of Signals (ACS) (1944), Signals: story of the Australian Corps of Signals. Australian War Memorial (AWM) picture collection, image numbers as cited. Barnard, Jill & Jenny Keating (1996), People's playground : a history of the Albert Park, Burwood [Vic]. Daley, Charles (1940), The history of South Melbourne : from the foundation of settlement at Port Phillip to the year 1938, Melbourne, prepared for the City of South Melbourne. Department of Land and Survey (1945), Photo-Map Melbourne B4B, Zone 7, accessed via University of Melbourne archives, , April 2016. Digger History, 'To the Bitter End on Bougainville', , accessed 12 May 2016. As cited in Trethowan 2016. Goad, Philip (2012), 'George Hallandal' in Philip Goad & Julie Willis' (Eds.) The Encyclopedia of Australian Architecture, Port Melbourne. Hanssen Partnership Pty Ltd (2014), 'Albert Park Master Plan Background Report, Stage 1', prepared for Parks Victoria. Heritage Alliance (2008), Citation for 'Albert Park Lake Precinct' in the City of Port Phillip: Review of Heritage Area HO3. Jess, Lieutenant General Sir Carl (1929-1939), 'Report on the activities of the Australian Military Forces 1929-1939)', accessed at , April 2016. Melbourne and Metropolitan Board of Works (MMBW) detail plan nos. 21 (1894); 635 & 636 (1895). Miller, Patrick, A Thematic History of Defence in Victoria, 1994. National Archives of Australia (NAA), Series B985, V/1/183, Albert Park Signal Depot - Serial 1254. State Library of Victoria (SLV), picture collection, image numbers as cited. The Age The Argus The Canberra Times Trethowan (March 2016), 'Albert Park Signal Depot Heritage Advice', prepared for Greypuksand. Vazenry, G. R. (c1969), Military Forces of Victoria 1854-1967. Ward, Andrew (2013), Citation No. 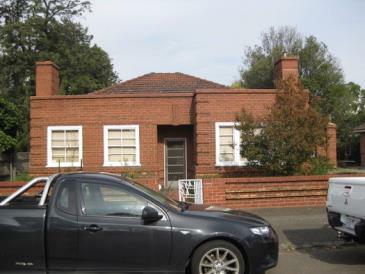 2152 'Army Training Depot' in the City of Port Phillip Heritage Review. 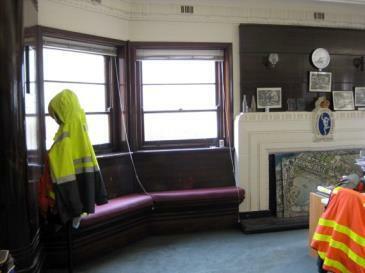 Victorian War Heritage Inventory (VWHI), Citation for 'Albert Park Signal Depot'. This document formed the original nomination for inclusion on the former Historic Buildings Register in 1987. The Former Royal Australian Corps of Signals Drill Hall is an impressive example of the Stripped Classical architectural style. 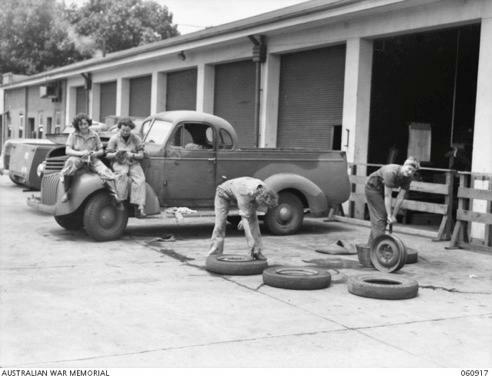 It was built in 1936 to strengthen Australia's defence forces in response to the impending threat of war, and used as a training facility for around 60 years.
. Management of trees in accordance with Australian Standard; Pruning of Amenity Trees AS 4373-1996.
. Minor repairs and maintenance to hard landscape elements including roads, steps, paths, and gutters.
. Minor patching, repair and maintenance which replace like with like.
. Removal of non-original items such as air conditioners, pipe work, ducting, wiring, antennae, aerials etc and making good in a manner not detrimental to the cultural heritage significance of the place.
. Repair and removal of non-original fences and gates in a manner not detrimental to the cultural heritage significance of the place.
. Painting of previously painted surfaces provided that preparation or painting does not remove the original paint or other decorative scheme.
. Painting of previously painted walls and ceilings provided that preparation or painting does not remove any original paint or cover any decorative scheme.
. Installation, removal or replacement of non-original hooks, nails and other devices for the hanging of mirrors, paintings and other wall mounted art.
. Demolition or removal of non-original stud/partition walls, suspended ceilings or non-original wall linings (including plasterboard, laminate and Masonite), non-original glazed screens, non-original flush panel or part-glazed laminated doors, aluminium-framed windows, bathroom partitions and tiling, sanitary fixtures and fittings, kitchen wall tiling and equipment, lights, cubicle partitions, computer and office fitout and the like.
. Removal of non-original door and window furniture including, hinges, locks, knobsets and sash lifts.
. Refurbishment of existing bathrooms, toilets and kitchens (excluding the original mess bars) including removal, installation or replacement of sanitary fixtures and associated piping, mirrors, wall and floor coverings.
. Removal of non-original tiling or concrete slabs in wet areas provided there is no damage to or alteration of original structure or fabric.
. 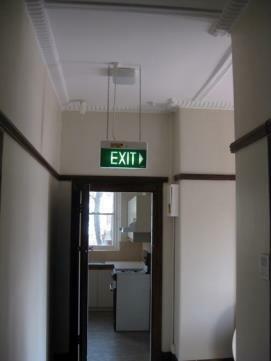 Installation or replacement of electric clocks, public address systems, detectors, alarms, emergency lights, exit signs, luminaires and the like on non-decorative plaster surfaces.
. Maintenance and replacement of plumbing and electrical services providing that the original formation of the buildings remains unaltered, and does not have a detrimental impact on cultural heritage significance.
. General maintenance of buildings of primary heritage significance. Such maintenance includes the removal of broken glass, the temporary shuttering of windows and covering of holes as long as this work is reversible and does not have a detrimental impact on cultural heritage significance.
. The erection of temporary security fencing, scaffolding, hoardings or surveillance systems to prevent unauthorised access or secure public safety which will not adversely affect significant fabric of the place including archaeological features provided that temporary structures are removed within 30 days of erection.
. Emergency building stabilisation (including propping) necessary to secure safety where a site feature has been irreparably damaged or destabilised and represents a safety risk.
. The erection of non-illuminated signage for the purpose of ensuring public safety or to assist in the interpretation of the heritage significance of the place subject to signage not adversely affecting significant fabric or obstructing views of the heritage place. Note: Signage and site interpretation products must be located and be of a suitable size so as not to obscure or damage significant fabric of the place, and signage and site interpretation products must be able to be later removed without causing damage to the significant fabric of the place. The development of signage and site interpretation products must be consistent in the use of format, text, logos, themes and other display materials. 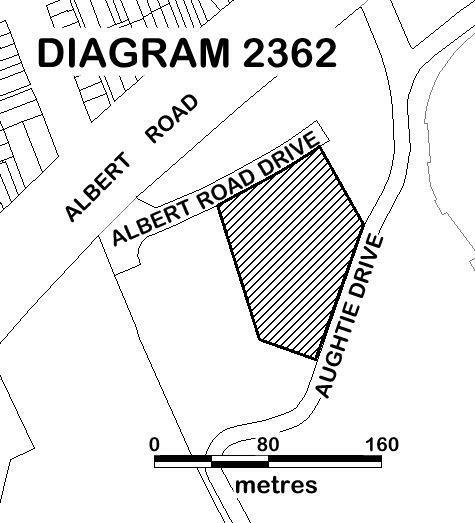 The extent of registration of the Former Royal Australian Corps of Signals Drill Hall in the Victorian Heritage Register affects the whole place shown on Diagram 2362 including the land, all buildings, roads, trees, landscape elements and other features. 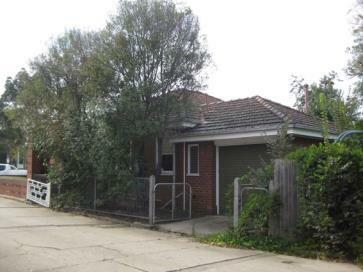 Under the Heritage Act 1995 a person must not remove or demolish, damage or despoil, develop or alter or excavate, relocate or disturb the position of any part of a registered place or object without approval. It is acknowledged, however, that alterations and other works may be required to keep places and objects in good repair and adapt them for use into the future. If any Aboriginal cultural heritage is discovered or exposed at any time it is necessary to immediately contact the Office of Aboriginal Affairs Victoria to ascertain requirements under the Aboriginal Heritage Act 2006. The cultural heritage significance of the Former Royal Australian Corps of Signals Drill Hall lies in it being a fine and highly intact example of an interwar Drill Hall complex. Designed in the Stripped Classical style with Art Deco influences, the buildings and features that make up the Drill Hall complex are highly intact with interiors and exteriors generally retaining all of their original features, decorative elements and finishes. Land: All of the land identified in Diagram 2362 is of primary cultural heritage significance.